These days, more and more people are working from home, and a lot of them are having trouble separating the work space from the living space. This can be especially challenging for those living in tiny apartments or houses. 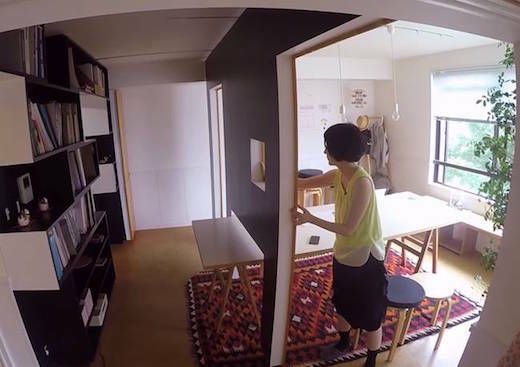 And that’s why this ingenious Tokyo apartment transformation is so awesome. 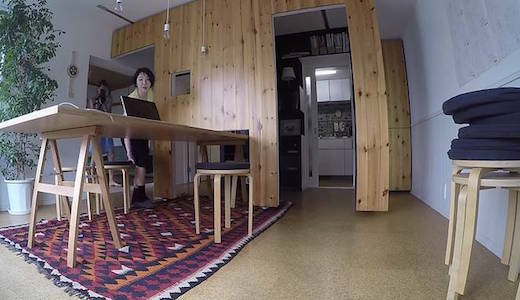 Architect Yuko Shibata wanted to work from home mainly so as to avoid the high rents, yet she needed a space where she could meet with clients, given the nature of her work. 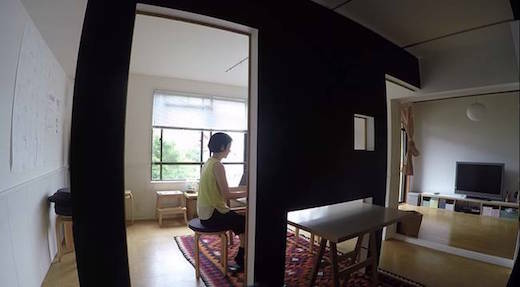 She achieved her goal of creating an office in her small apartment through the use of cleverly placed moving walls. 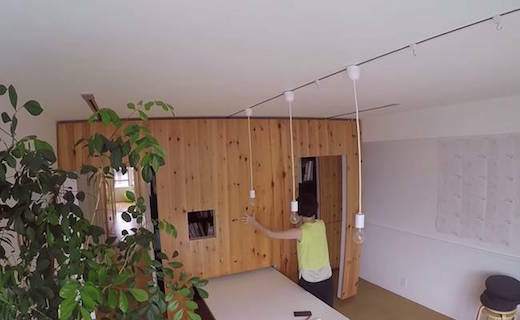 Shibata calls her creation a “switch” design and she came up with it because it was pretty much the only option for her apartment. The building she lives in has a box-like reinforced concrete structure, with the walls being structural elements that can’t be taken down. Her work was inspired by the so-called “fusuma”, namely the historic Japanese sliding partitions used to sub-divide an existing space when needed. She added to the original idea by adding a rolling wall to it, which can be used to hide or reveal a bookshelf behind it. When the wall is moved out, it creates a library and client meeting area, while the large table in this space can be used as a conference table and dining table. 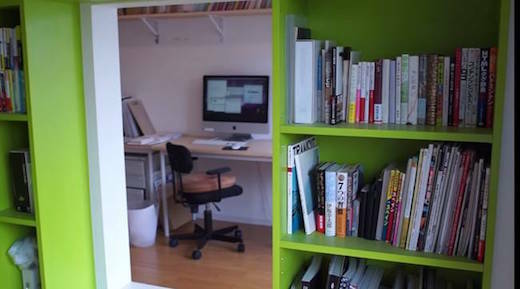 To create the office, she cut a hole in the wall which allows her to have a two-room workspace/library. The office space also has a built-in bookshelf, which when pushed back creates a cozy reading nook, additional storage space and more shelves. Perhaps the best part of her renovations is that they only cost about $7,000, and very little changing up of the original structure of the apartment had to be performed. It’s definitely a DIY sort of project and a great inspiration for anyone looking for ways to separate their home office from the living space in a small apartment. Watch the video tour at Fair Companies.